There are about 800 white wines available in BC between the price of $7 & $20. There exist no other category of white wines that is as populated as this one and yet it is the most popular range in the province. That puts a lot of pressure on the purchase to deliver. Here are my picks for Top 5 White Wines For Easter under $20. It’s a big brand name and for a number of years it tasted like it, however there is a new sheriff in Lindeman’s town and he has been making a true, qualitative difference. I guess the good news about the ‘in between’ years is that it has forced Lindemans to keep their pricing almost the same as it was in 1994 when Bin 65 exploded onto the BC market. In 1994 this wine was $9.99 and now it is $10.10 (taxes included) and now it is polished, balanced, sunshine driven with wonderful spice and pastry notes. It is the whole package and if your friends think you uncool for having it, put it in a brown bag and watch their faces when you show them what they have been drinking. Can we all agree that there is no excuse for not enjoying a sunny Spring day! 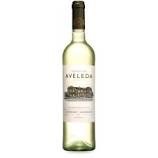 Aveleda Vinho Verde is Spring in a bottle and is a great addition to any table with a selection of cheeses, fruit, cold cuts and even tapenade. Serve chilled and prepare for a fresh, lively, vivacious muse to grace your Easter weekend. Available in private stores only. The French truly have it going on when it comes to finesse in their wines. Here is a wine that when you look at it you could easily walk right past. I know I did on a number of occasions, that is, until a friend of mine who has devoted thousands of hours to the exploration of French wine, told me that this is, for him, the best white wine under $20 on the market. It shows bright tree fruit freshness and savoury herbs. It has some weight, making it a good choice with ham, but also has a crisp finish making it great with easy to find cheeses, or just a simple salad. Pinot Gris for many years brought shivers to my spine. I have tasted literally thousands of Pinot Gris’s over the last number of years and I would have to say that I had come to the conclusion that the only value in Pinot Gris/Grigio lied in those showing true terroir which meant they were most often priced at $20+. However this story is the exact reason why I love wine. There are no absolutes. The moment you think you have it nailed, that you can pronounce a fact about a wine or region, something comes about to radically change your mind and give you hope and desire. That is what the Lurton Pinot Gris did for me. Here you will find a truly authentic Pinot Gris and seems bereft of the desire to pander to the marketing divisions focus group results. As far as Pinot Gris and Pinot Grigio goes, I can honestly say there are not many under $20 that show the finesse, class and authenticity as this wine does. I struggle with the inclusion of a second Lurton in this list, but my purpose here is to let the quality of the wine for the price, speak for itself, and I would be remiss if I did not include this wine in this Top 5 list. There is so much pleasure packed into this one bottle of wine. One the one hand it is what you expect from a Sauvignon Blanc -fresh, herbal tree fruit, crisp, and yet there is another level that is floral, bright and brimming with highlights. Then just as you are about to put the glass down there is a parting kiss of tropical fruit. Man o’ man there is a lot going on here and all of it provides a wonderful wine experience. You are currently reading Top 5 White Wines For Easter 2015 at Dorkuncorked's Blog.